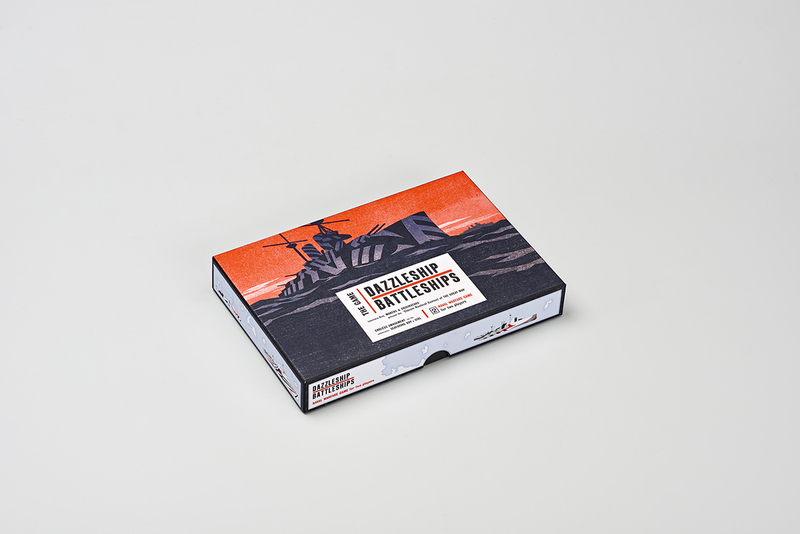 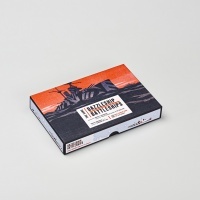 A team of Pentagram designers, led by Angus Hyland have designed modern versions of two classic games; Dazzleship Battleships inspired by naval warfare game Battleships, released on February 13 and Rock Paper Scissors Bomb, out next month. 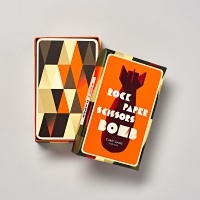 These vintage games are the latest addition to Laurence King Publishing‘s growing offering of thoughtfully designed collectables, activity books and games for adults. 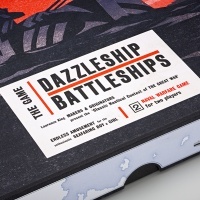 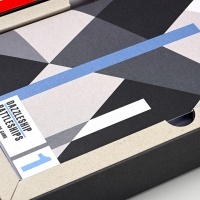 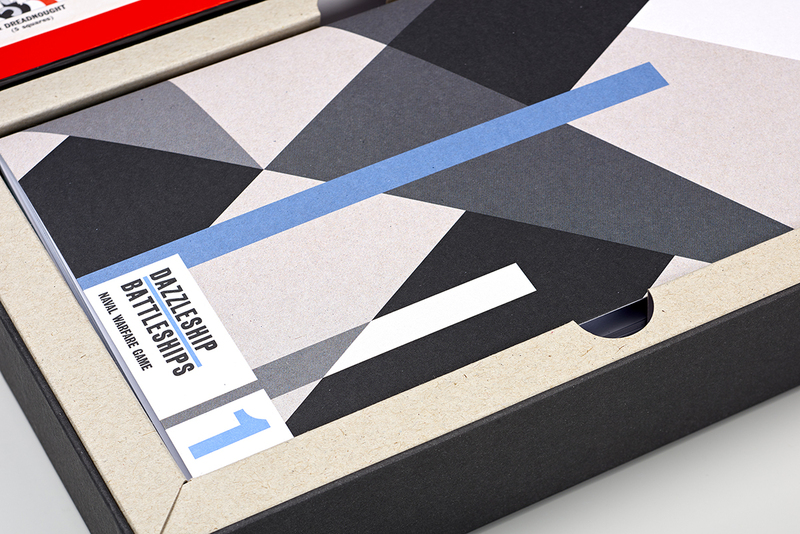 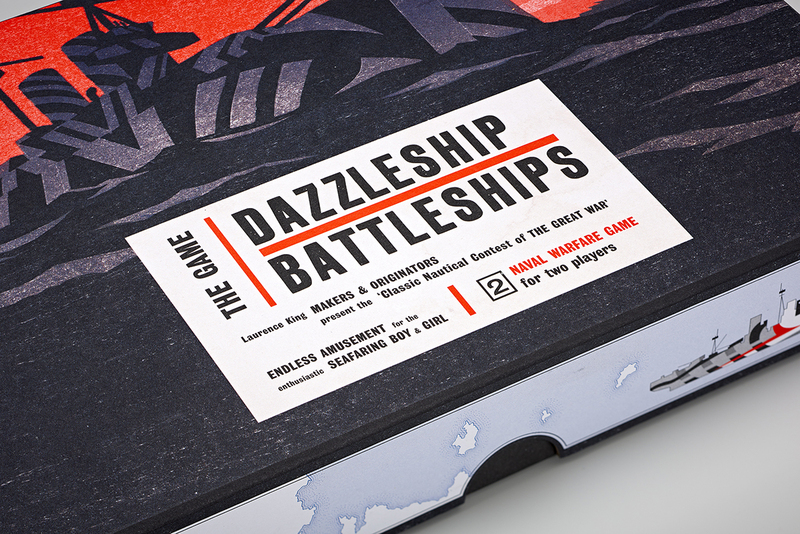 The artwork for Dazzleship Battleships features a ‘dazzle camouflage’ which creates an optical illusion, confusing opponents by making it hard to judge a ship’s outline, speed and direction of the ships. 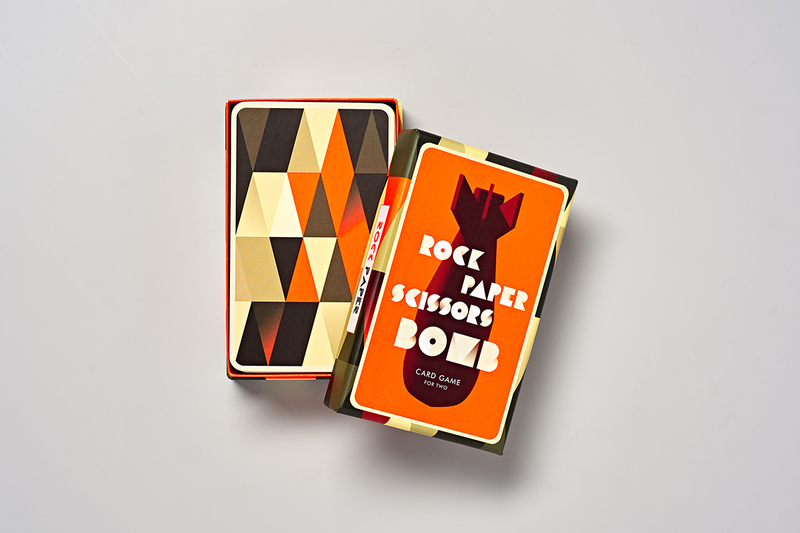 On the cover is woodcut illustration by Andrew Davidson. 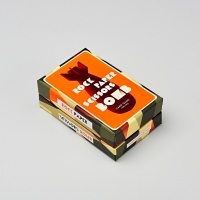 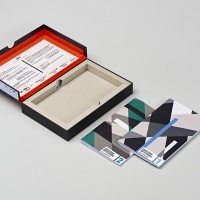 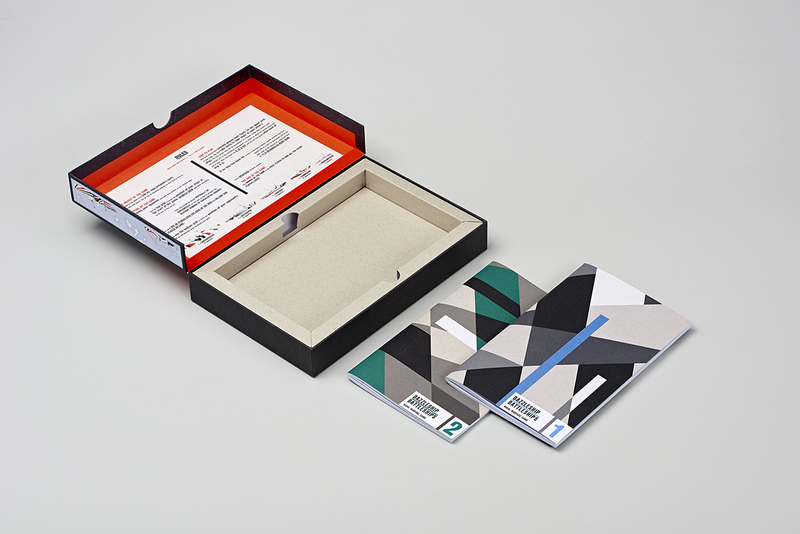 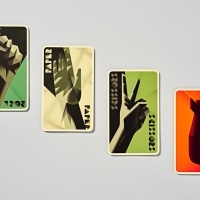 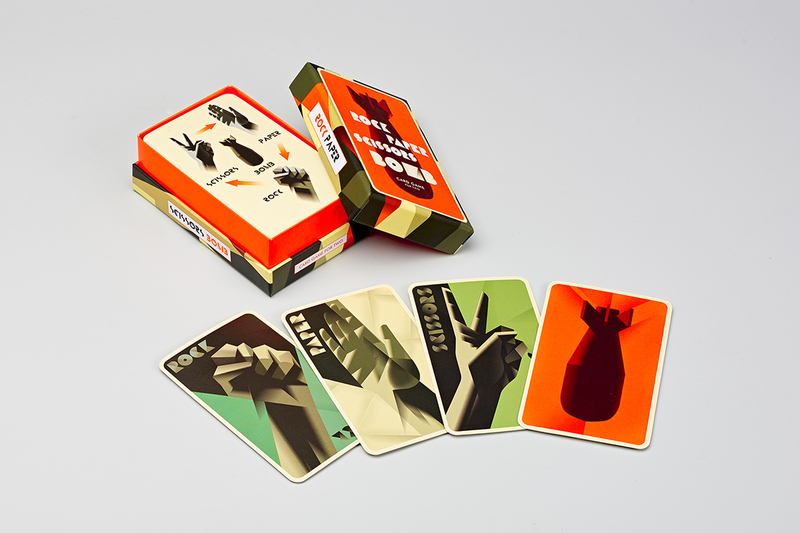 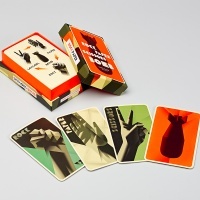 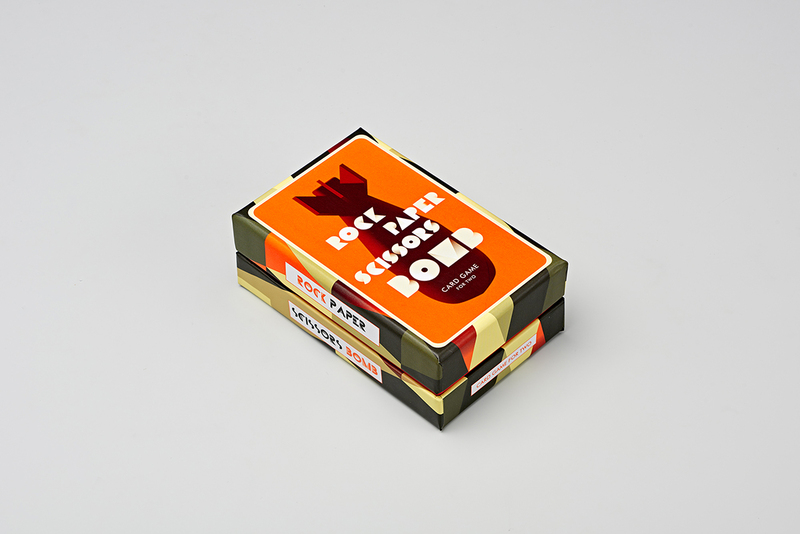 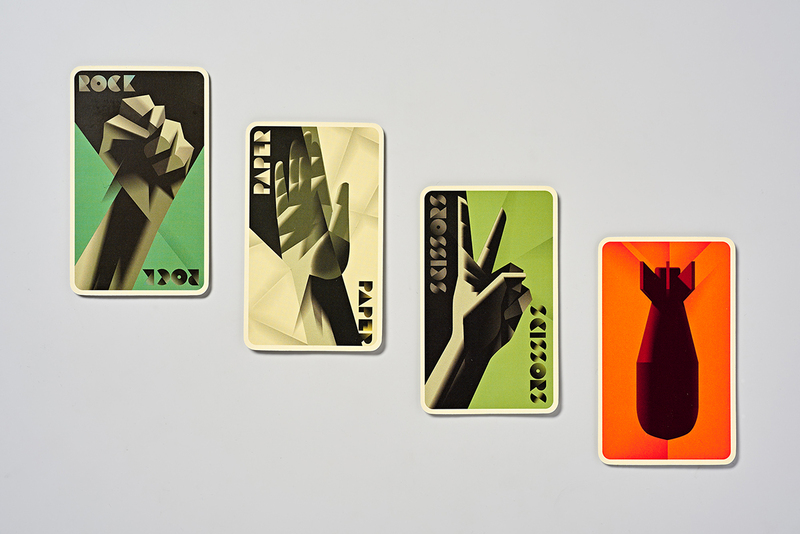 Illustrated by Mads Berg, this version of Rock, Paper, Scissors also features a Bomb card which, as you would imagine, as the ability to destroy all the other cards.